Goodmorning all! Today is “F” day in #plantPOWER. When I think of the letter “F” many things come to mind. Started this morning off with a 545am WOD at CrossFit. Scaled the handstand push-ups similar to this video here. This one was tough & yeah, when the alarm goes off at 5:15am it’s not always easy. BUT I got after it & had breakfast in my belly by 730 am! After a lot of FOAM rolling. F is for FUEL….or reFUEL. I refueled after this awesome WOD with a VEGA Nutritional Shake – Vanilla Chai! OMG SO GOOD. I made it into a “frosting” & put it on my oats. You just add small amounts of water to it until it’s at a desired consistency! You can learn more about this product in this video here. *I’ve been lucky enough to be able to test these amazing products from VEGA so a special THANK YOU shout-out to them! I love spreading the love of fun products! 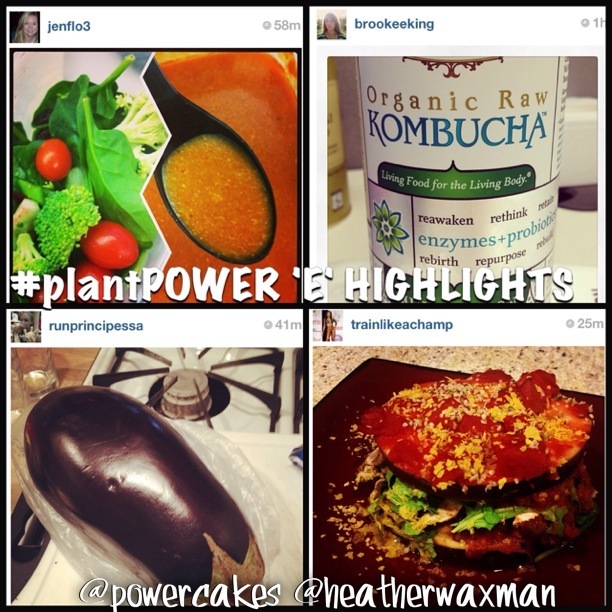 featuring some of the awesome “E” #plantPOWER Instagram pics from participants. @jenflo3 & her “everyday” spinach salad. @brookeeking & her “enzymes” from her kombucha. @runprincepessa & her eggplant she used for dinner. @trainlikeachamp & her eggplant lasagna! The Eat Clean Diet is all about the healthy fats this month & every month for that matter! I know that all of the Ambassadors embrace them as well. The Eat Clean Diet is hosting a healthy fats giveaway this month. 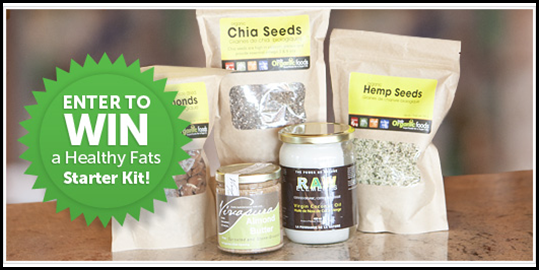 You can enter their healthy fats contest here for a chance to win an awesome prize pack! Read the contest rules & see if you are eligible. Don’t forget to use #healthyfats in your tweets/posts! Did I use to fear fats? Absolutely. Well, eating a whole jar of peanut butter may not be the best way to get your fats in, BUT that doesn’t mean that a nice serving of 2 TB could hurt. With every one of my 3-5 meals a day, I try to incorporate a healthy fat in. facts about how are body utilizes fat. *Now, a few things have changed since this video – at the time I cut out grains (thinking they were causing my digestive issues) Obviously I’ve found that eating more plant based helps me & I’ve been eating grains for months now (oats, quinoa, brown rice) – so again, BE TRUE TO YOU. The point of this video was to show that I UPPED my healthy fats & never felt better! I certainly do not fear the fats! This was a #powerbowl of veggies, purple & orange sweet potatoes, with smoked paprika, & HEMP SEEDS! I like to use tahini or hummus to make salad dressing thicker. If out to eat, I usually get olive oil & vinegar for dressing so I can drizzle onto my salad. Snacking on nuts & seeds. 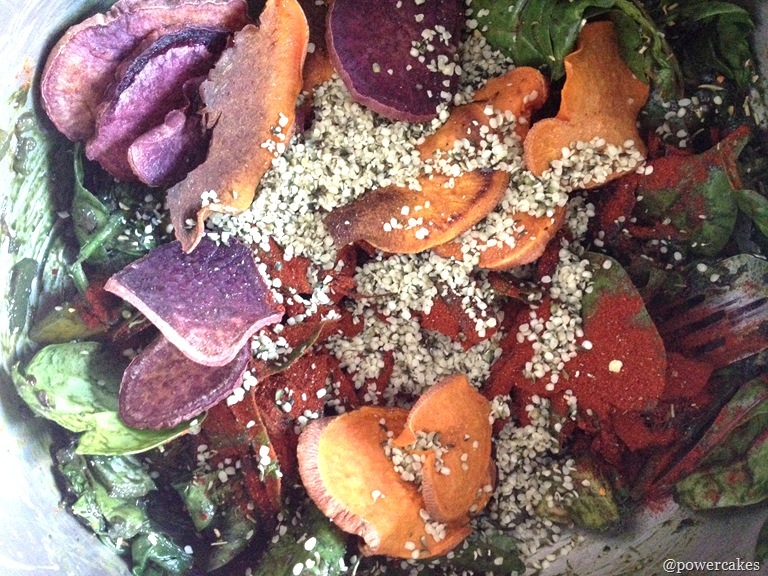 Sprinkling hemp seeds onto a salad or mix in a smoothie – so thick & delish! Sprinkling cacao nibs onto ANYTHING. I eat olives every day on my powerbowls. Love that salty fix! Every night I make a mini powerbowl & add 1-2 TB of nut butter or seed butter for dessert! Oh, & Avocado is amazing on anything & everything. As you can see, I incorporate servings of healthy fats throughout my day! So easy & so delish! Some of these can be found at www.iherb.com with my coupon code XUG228 for new users! Finally, F is for FRIENDSHIP…. Remember that big announcement I mentioned in this post? Well, Heather & I have such an amazing friendship & what makes it that more amazing is that we’ve never met in person. A lot of bloggers I feel very connected to because we all share our stories daily and are able to relate. I never thought that starting my blog would lead to my future career, create opportunities for me, & I definitely didn’t realize how I could create such amazing relationships with other bloggers. Heather was definitely brought into my life for a reason – I think I talk to her on the phone more than my boyfriend…sorry coreycakes! Heather & I are different but our differences definitely bond us. We embrace them & are inspired by each other daily. Our big announcement? Well, in two weeks I am traveling to finally MEET HEATHER!! This year I wrote down my goals – business & personal ones. On the top of the list was to fly out to meet Heather & in two weeks this will finally happen! 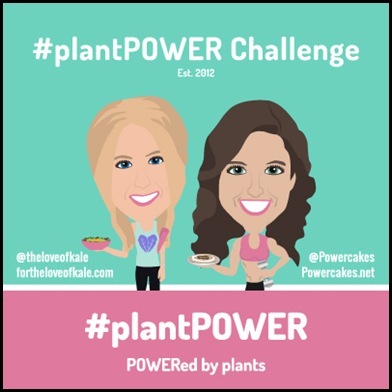 If anyone is from the Boston/Rhode Island area – we are going to plan a #plantPOWER meet up probably on Friday Feb. 22nd! More details will come but for now I am so looking forward to this! 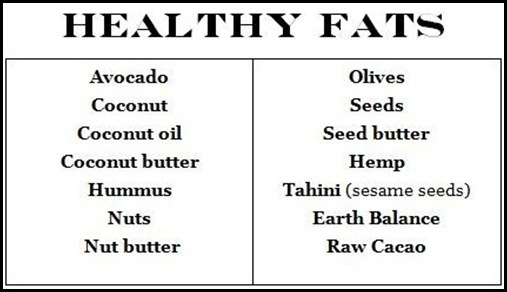 What is your favorite healthy fat?? Do you write down goals? What are some of yours for this year? Ah, a meet up between the 2 of you will truly be epic!!! I’ve met Heather before and she is even more amazing in person!!! 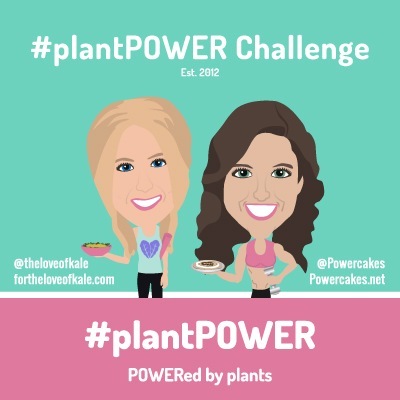 A plantPOWER meet up?! How exciting!!! Can’t wait for more details! 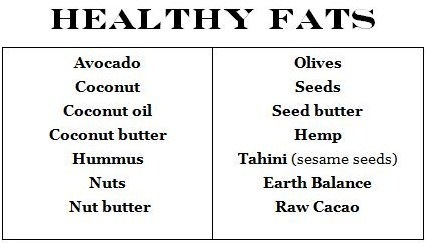 my favorite healthy fat is either coconut oil or avocado. it’s a toss up! hey, could you possibly send me your contact’s email at vega? i have a question for them, but i can’t find contact information anywhere! thanks a million! 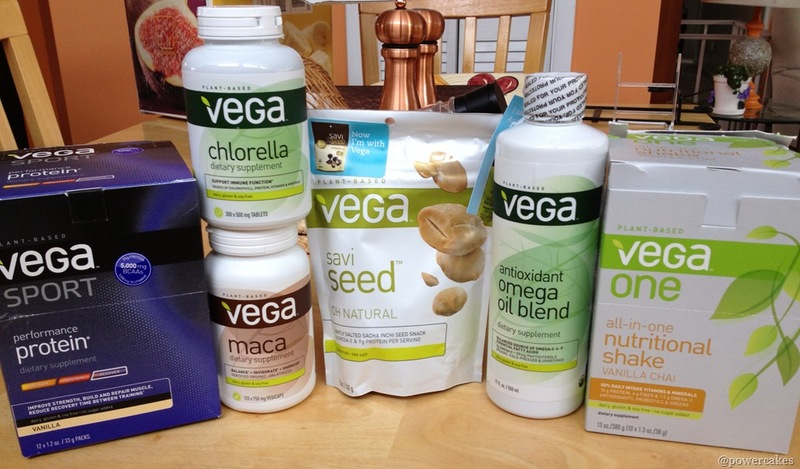 I LOVE vega, you got quite the haul! I’d love to hear about some of the other products they sent you to try out! How does vega compare and contrast to garden of life raw pro and sun warrior raw rice in terms of taste, texture, usability? Can u tell me the pancake recipe too? And what’s ur power bowl recipe? How fun that you are going to meet! I was brainwashed in the ’80s by the no-fat low-fat propaganda and it has been very difficult to get over – has taken me about this last couple of years to do so but now I am a big proponent of healthy fats and oils. My very favorite healthy fats are nuts (almonds, pistachios and walnuts!) and nut butters, coconut oil and chia seeds. I used to be very timid of fats as well, but that was a mistake! So glad I’ve come around, and include it in my diet. I have loved getting involved in the blogging community. While I’m still “newer”, and am still getting to know (or rather, them getting to know me) many of the people whose blogs I’ve been reading for a long time, it’s been an awesome experience. I’m going to Blend, and can’t wait to meet people in person there! P.S. 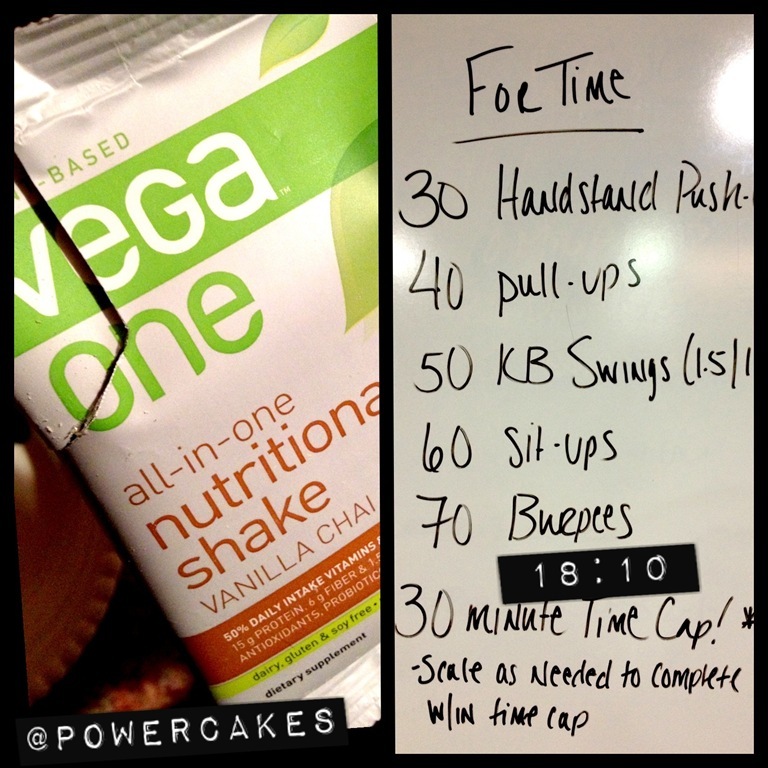 So I have a packet of that Vega chai protein and it’s been sitting in my cupboard for months [no joke]… I’m a bit hesitant to try it because I’ve tried protein powders in the past and they’ve been chalky and gritty. Do you have any suggestions for a protein powder newbie? I’m thinking of trying it in oats or pancakes versus drinking it… Thanks! What amt of fat do u use per meal and snack? 1tsp, 1tbs, 2tbs…? If grains weren’t the issue with ur tummy, what was? I’m in Boston and so excited about the meet up! Can’t wait for it! This year I wrote down my goals in the form of a journal entry for dec 31 this year about all the great things that happened this year…all the great things that WILL happen! Ahhh! So excited for the meet up. I live in Rhode Island. Can’t wait for further details. Um, I love this. I used to fear the fat too (just now starting to move past that) and this post helps a LOT. I ate some cocoa roasted almonds today, saw the fat content and was all, WHOAAA at first. Then I realized that a) I was eating a correct portion and b) the fat is the healthy kind! Also, SO happy for you and Heather that you get to finally meet! So fun. Blogging truly is special. Yay for healthy fats! I love avocado and nuts! !